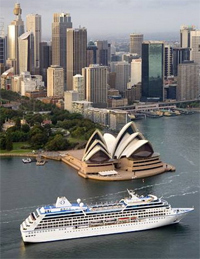 Oceania Cruises - Just Cruises Inc.
Life is vastly different on Oceania cruises voyage, an experience granted by their luxurious mid-sized ships. Consequently, the cuisine soars to new heights, service excels beyond expectation, and amenities are impossibly indulgent. 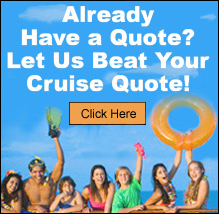 The moment you step aboard you'll know it is a distinctively different style of cruising. With a perfect ratio of staff to guests, the onboard life encourages you to flourish & experience the world from a vantage point that larger vessels simply can't furnish. The onboard atmosphere is exceedingly hospitable, similar to that of a country club. With no need for tuxedos or evening gowns, you can relax and be yourself while cruising to a collection of exotic destinations. Indeed the experience is sublime, especially considering how surprisingly affordable it is. Dining - Our chefs share in your quest for finding the best food around the world – for us, cuisine is not only an art form, it’s an exploration and expression of a culture, a connection that continues on long after the meal has ended.